What Sets Kidz Korner Apart? 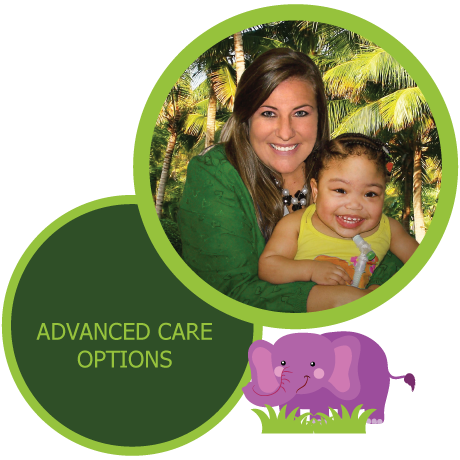 We create a nurturing and home-like atmosphere filled with attentive nurses, therapists, and respiratory practitioners. The Kidz Korner has bright, vibrant hallways with bedrooms that are decorated with children's drawings and personal items to give the feeling of home. Our years of experience committed to serving medically- fragile children have equipped us with the unique understanding that children are not just small adults. When a child must leave the hospital and continuous 24 hour nursing, respiratory and rehabilitation is recommended, healthcare professionals and family members are often frustrated by the limited and inappropriate options available. The Kidz Korner, complete with a state-of-the-art respiratory care program, has set new standards for high-tech and rehabilitative care. Conveniently located in Plantation, Florida, with easy access to numerous children´s hospitals, The Kidz Korner has become the leader in post-acute, transition-to-home and high-tech inpatient care for children ranging in age from Preemie to 21 years from throughout the United States.